As Alexandria – Egypt’s second city – removes public access to beaches along its shoreline, citizens grapple with what it means to be Alexandrian in a city where the sea has defined identity. Gleem Beach in Alexandria hosts all kinds of life. 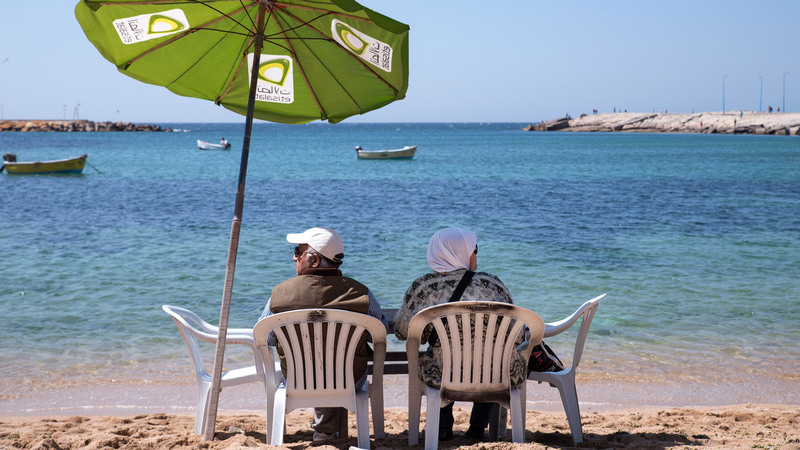 Schoolgirls dangle their feet into the sea one afternoon in April, while an elderly couple relaxes under a beach umbrella. Behind them the tall buildings and advertising hoardings that crowd the city’s corniche glint in the sunlight. Along a promontory walk two men from Upper Egypt, their flowing robes flapping in the sea wind. In a middle-class neighbourhood, Gleem Beach draws countryside visitors, foreign tourists and ordinary citizens from the impoverished suburbs of Alex, as the city is fondly known by locals. Fares, 17, and his younger brother Mohamed, 12, come to Gleem Beach to play and swim each day after school. Leaping one after another into the clear green water, Fares pulls his brother back onto dry land, the younger boy’s face marked with scars, cuts sustained from diving into water with submerged rocks. Also from the same poor nearby neighbourhood of Al-Awayed is 17-year-old Saled, a member of dance group Afareet el Asfalt (Devils of the Asphalt) who comes to the beach to train. They perform a style of dancing they call “knocking, breaking and sorcery”. They started by dancing in the streets of Al-Awayed to introduce their style to the area; now they get requests to perform for wedding parties. The shore in Alexandria is a microcosm of modern Egypt – the hopes and dreams of its citizens, and a heavy dose of hardship. Further down the promontory, a group of young boys aged 15-17 play football, kicking their worn ball across the stones. They share the same severe experience of leaving school to work and now spend their days selling fruit and vegetables in the street, using loudhailers to pester customers and advertise their wares. Sellers wander the corniche too. Ahmed says he is 17 years old, but holding his bouquet of red balloons for sale, he looks much younger. He moved to Alexandria from Sohag, like his uncle before him, because of a lack of work in Upper Egypt. His father got sick and can no longer work, and now Ahmed buys the balloons with his own money each day after school, though normally he is rewarded. 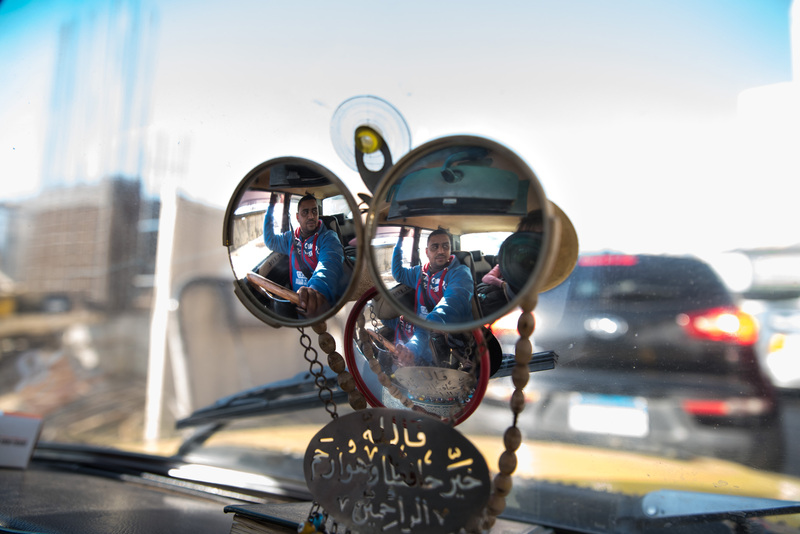 “I make around 50 Egyptian pounds (2.50 Euros) daily. If I worked in a restaurant, for example, I would make 20 pounds only a day,” he says. Despite the picturesque scenes, young Alexandrians today have become accustomed to hearing the words ‘Alexandria was beautiful in the past’. This implies that Alexandrians are condemned to live in the shadow of ancestral giants, unworthy of such a glorious inheritance, believes Amro Ali, a well-known Alexandrian cultural critic and assistant professor at the American University in Cairo. The city must also play second fiddle to Cairo, two and a half hours’ drive away. “The idea of Alexandria as the second city compounds the problem, as it means you will always be in a race to catch up with the first,” says Ali. 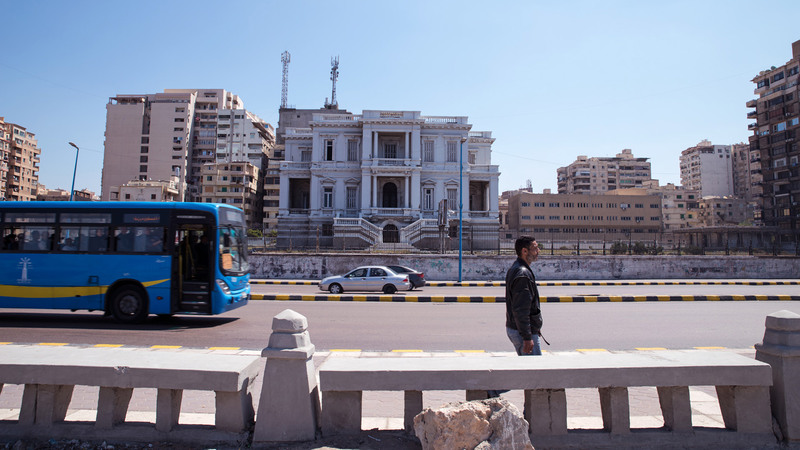 Centralisation and brain drain to the capital heightens Alexandria’s second city insecurities, he believes, and is part of the reason why Egypt’s riots, rebellions and revolutions have came from the direction of Alexandria. The January 25 revolution of 2011 was sparked by protests against police brutality in the killing of Khaled Saeed and another Alexandrian, Sayed Belal, who also died after police torture. Meanwhile, the city’s relationship with the sea has been central in shaping Alexandrian identity, argues Ali. 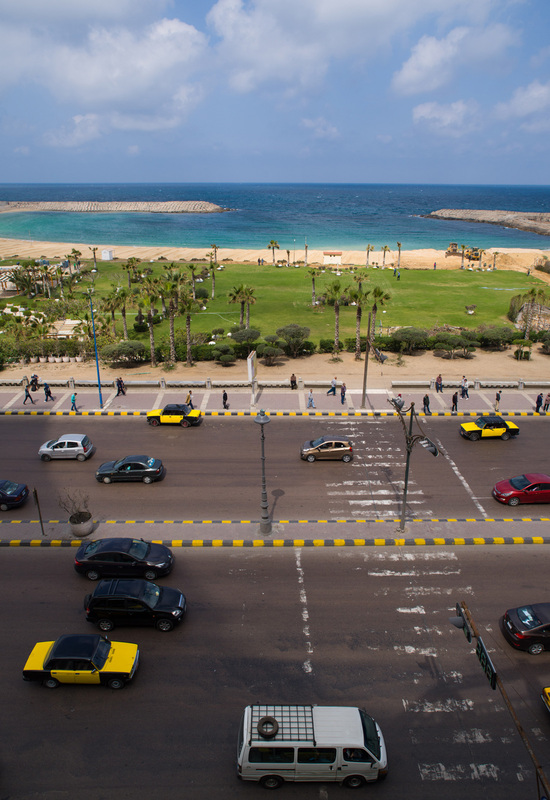 “The corniche, the spinal column of Alexandria, shaped one’s relationship to the city.” But as the city, its population and its geography change, so too must this identity. Alexandria was once famous for its large Jewish and Greek community. New communities were also added to the mix; as a port town, Alexandria was a relatively easy destination to reach and many émigrés stayed. As Armenians fled the genocide unfolding across the Ottoman Empire during the First World War, many arrived in Alexandria and stayed, working in artisan fields such as fixing watches or working leather. 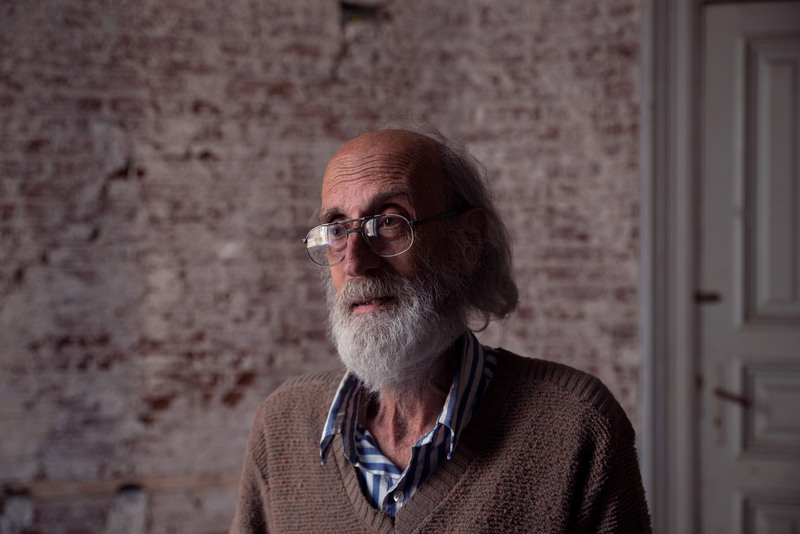 But as Egypt went through political changes, many Armenians decided to leave as life for minorities became harder, says Daniel Tanielian, a 67-year-old Egyptian-Armenian. “They couldn’t compete and find good job opportunities, in addition to the fact of living under the pressure that was imposed on foreigners in Egypt at certain periods of time, so when chances for emmigration opened many of them emmigrated.” Other minorities – notably the Jewish community – also left. The loss of public space in recent years, especially beaches, has been dramatic. Today only five beaches are open to the public for free, while the other 40 beaches require a ticket costing between four and ten Egyptian pounds per person (20-50 US cents), a pricy sum for an average family. Other areas of the corniche have been taken by clubs owned by syndicates of middle-class professions: doctors, engineers, teachers, lawyers, scientists, judges, police and the armed forces. Their buildings often block the sea view, and their cafeterias spill out onto asphalted spaces built beside the sea for pedestrians and public use. A practising architect and assistant professor in the faculty of Fine Arts at Alexandria University, Farag is critical of modern developments with hotels and restaurants that block the sea from view from the rest of the city, as well as the construction of multi-storey car parks along the corniche. “These multi-storey garages are known around the world as the worst type of buildings, so we cannot understand why a developer would choose or be allowed to put a piece of ugliness next to the sea. We should place the best examples of architecture next to the sea,” he says. Another aim of Save Alex is to preserve historical buildings ­­from being demolished to make way for modern developments. Many of the city’s notable buildings have been torn down in recent years, including old villas from the city’s 1920s heyday. Despite a comprehensive listing of historical buildings which should save them from destruction, well-connected developers have often had buildings removed from the list overnight and then proceeded with demolition work post-haste and without public consultation. It is a problem brought about by “the powerful network of real estate businessmen, corrupt police officers and district engineers, and weak legislation”, Mohamed Abo el Kheir, another of Save Alex’s co-founders, told a local newspaper. “The usual story of destruction starts with a contractor or broker who lures, and sometimes pressures, the owner of an old mansion to sell the property for a large sum of money. As soon as the structure falls into the hands of the developer, the demolition process starts.” Save Alex tries to combat such destruction. When a historic structure is about to be destroyed, the group works to draw attention to it through public campaigns and online blogging. The most controversial construction project currently underway is a new hotel owned by the army. Its construction began with the abrupt demolition of a popular (though defunct) theatre, Al Salam, on its waterfront site. However, the biggest cause of controversy has been the huge traffic jams along the busy corniche caused by construction, including a new overpass that will bring guests directly to the hotel’s front door. Yet given the political and economic power of the army, there is little residents can do but grumble, even as the cost of living soars. Following the terror attack in Alexandria on 9 April – Palm Sunday – in Saint Mark’s Coptic Orthodox Church, an attack that killed 16 and injured scores, Ali contrasted the reaction to it with that to the bombing of the Two Saints Church in Sidi Bishr on 1 January 2011, which killed 23 and injured dozens. The 2011 attack provoked a new civic spirit and set the tone for the revolution a few weeks afterwards, Ali wrote in a post on Mada Masr. Alexandrians joined growing street vigils as well as publicly denouncing the Mubarak regime. “We want to fire the president and interior minister!” shouted mourners at the funeral of the victims. Those sentiments are on show in everyday interactions. Driving along the corniche, a taxi driver caught in the congestion created by the army’s hotel project rudely dismisses Egypt’s president. While once the working class could be relied on to express support for Sisi, the president’s popularity has steadily eroded as prices for everyday goods rise. 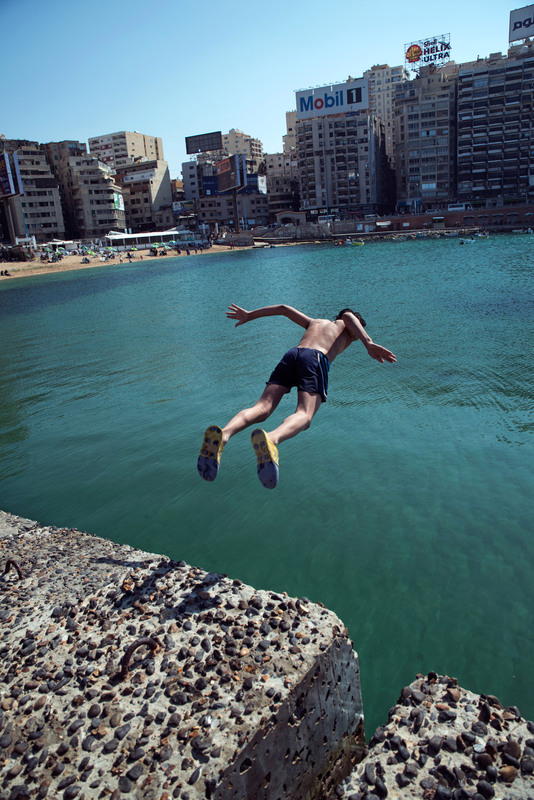 The drop in tourism since the revolution has further hurt Alexandria’s economy. A high-end fish restaurant on the corniche is almost completely empty one Wednesday, with just a smattering of diners, including visiting journalists and a large Saudi family – men and children at one table, women at another. The fresh fish is displayed on ice and prepared to choice, and while the prices deter ordinary Egyptians, by international standards, whether in Europe or the Persian Gulf, the restaurant is cheap. But few tourists are travelling to Egypt, despite the bargains on offer. For now, Alexandria’s attractions are enjoyed by the locals. 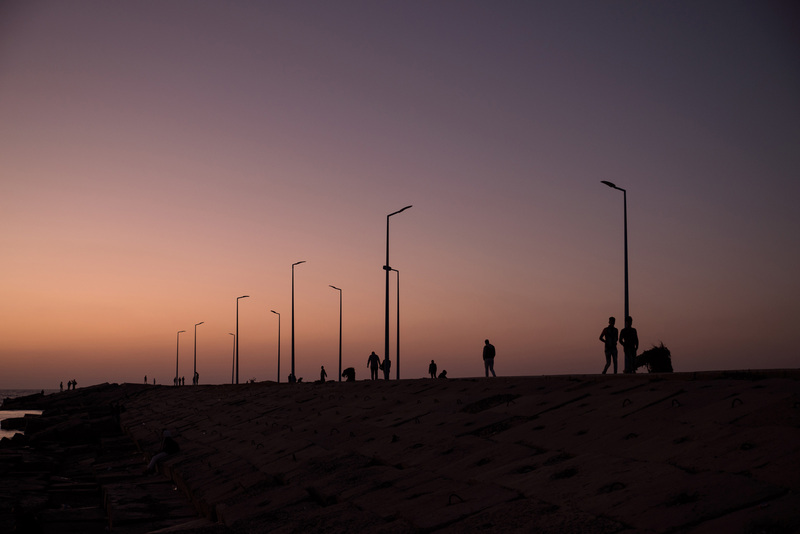 The curving corniche in front of the Bibliotheca is a popular place to watch the day’s end, with the sun dropping down over the city and the Citadel of Qaitbay, a 15th-century fort built on the ruins of the Lighthouse of Alexandria. Teenagers sit by the water’s edge while families watch from the corniche. Ahmed’s bouquet of red balloons is vibrant in the fading light. Everybody takes selfies. The sun and the sea are remarkable phenomena in a country where no one is free. Pleasures that for a moment make no distinction between the rich and the poor.